1. Nuclear medicine is a medical specialty that uses safe, cost effective and painless techniques not only to image the body but also to treat the disease. 2. Nuclear medicine is used in the treatment, diagnosis and prevention of serious diseases. 3. Nuclear medicine procedures often identify abnormalities very early in the progression of a disease. 4. 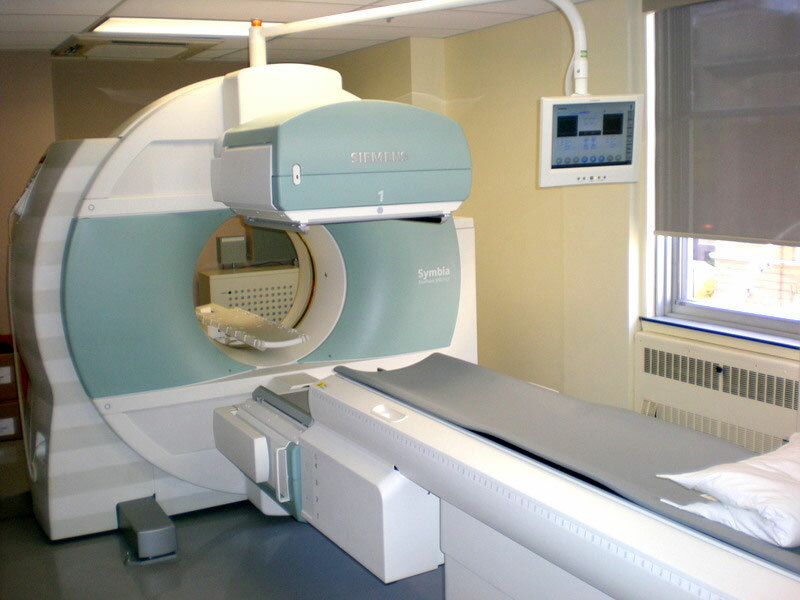 Nuclear medicine system uses very small amounts of radioactive materials to diagnose and treat the disease. 5. They are used for the treatment of bone cancer, thyroid cancer etc. 1. The excretory function of kidneys, iodine concentrating ability of thyroid and the blood flow to heart muscle etc can be measured. 2. Nuclear medicine is useful in displaying physiological functions of body. 3. It is mainly used in bone scanning. 4. The heart, lungs, liver etc are commonly evaluated for particular conditions using nuclear medicine system. 5. With computer processing the information obtained from a nuclear medicine system can be displayed as axial or coronaI images.